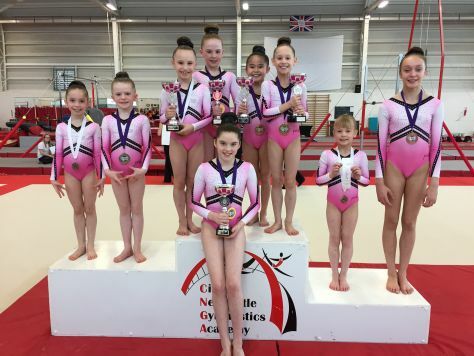 On Sunday the Elite Squad had their first competition of 2017 at their compulsory, national and development grades held at the City of Newcastle Gymnastics Academy. 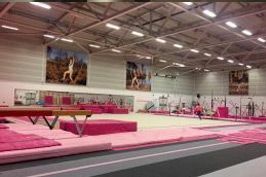 The first round saw our development 5, development 4, national 2, compulsory 4 and compulsory 3 girls take to the floor where they all had to compete routines on range, vault, bars, beam and floor. The girls had a fantastic competition with South Durham taking the top spot in every level! As well as the development 5 girls winning team bronze in their competition! On the second round of the day we had girls competing in national 4 and national 3. These girls also had a fab competition with all four ladies passing their grades and taking the national 3 title!